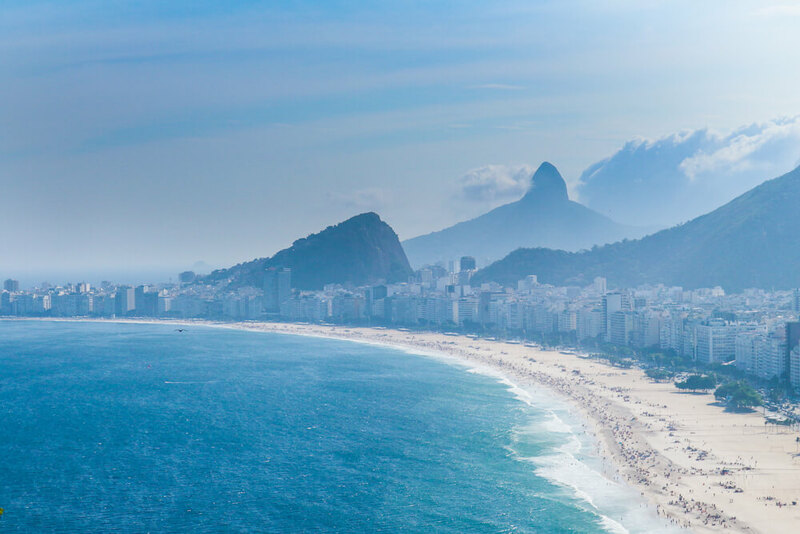 From world-renowned beaches to dense rainforest, Rio de Janeiro offers great diversity. The city annually plays host to the largest carnival in the world, giving it a reputation for having a lively, party atmosphere. Yet there’s plenty to discover year round in this coastal city. 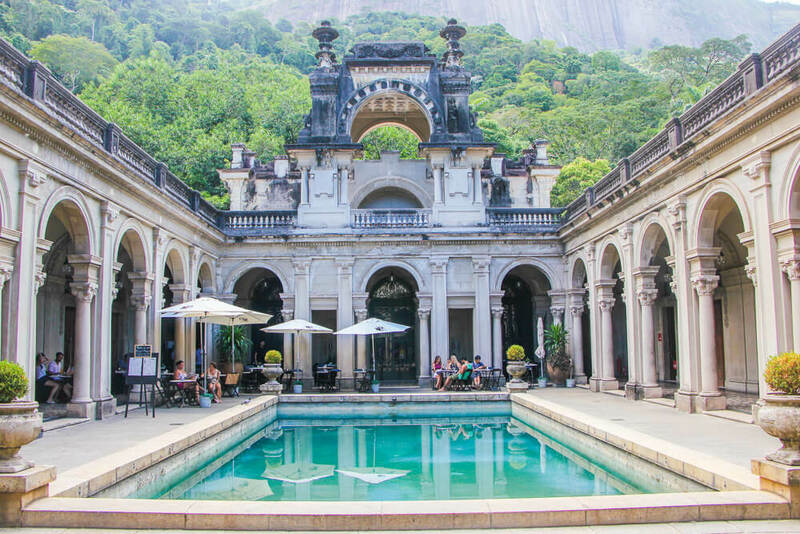 While iconic sites such as Christ the Redeemer and Sugarloaf Mountain are essential to any itinerary, there are plenty of hidden gems in Rio to unearth during your trip. After spending a month there, it’s definitely one of our favourite cities in the world. With so many things to do in Rio, there’s plenty we couldn’t fit into that time. As such it’s hard to narrow a list down to just 10 places you should visit. But we gave it a go anyway! At the base of Corcovado Mountain, lies the small yet charming Parque Lage. Immediately striking is the architectural beauty of the colonial mansion at the front of the park, as well as the pleasant decorative pool. Once you turn your head to see Christ the Redeemer towering above, you realise just how special this place is. What’s more, there are a number of walking trails throughout the grounds, with playful monkeys often found swinging from tree to tree. Surprisingly, many tourists seem to miss out visiting Parque Lage. This means the park is somewhat quiet, can be enjoyed in relative peace and is considered one of the hidden gems of Rio. For the more adventurous, it’s even possible to hike from here up to the famous Christ the Redeemer statue. We’d advise against doing this currently as there have been a number of reported armed robberies targeting tourists on this route. For the park itself, there’s no entrance fee and even a small café inside the mansion to enjoy a refreshing drink on a warm day. A short half hour hike through forest teeming with cute marmosets and birdlife leads you to another of Rio’s hidden gems and best-kept secrets – Leme fort. You won’t find a better spot for a photo of Copacabana beach than here. A fantastic, unobstructed viewpoint means you can really appreciate the massive scale of one of the world’s most iconic beaches. As if that’s not enough, the proximity to Sugarloaf Mountain means you’ll have brilliant views in 2 directions. Thankfully, many tourists and locals are unaware this place exists and so you’ll virtually have the place to yourself. The fort itself is located within a military base, with entrance costing 4 Reals except on Monday’s when it’s free! This colourful mosaic masterpiece, created by famed Chilean artist Jorge Selarón, features over 2,000 tiles, mirrors and ceramics from over 60 different countries. For the last 23 years of his life, before his untimely death in 2013, Selaron obsessively tiled and re-tiled the steps outside his home, which are also known as the Lapa steps. The result of this is one of the most beautiful staircases in the world – with vibrant colours that almost bring it to life! 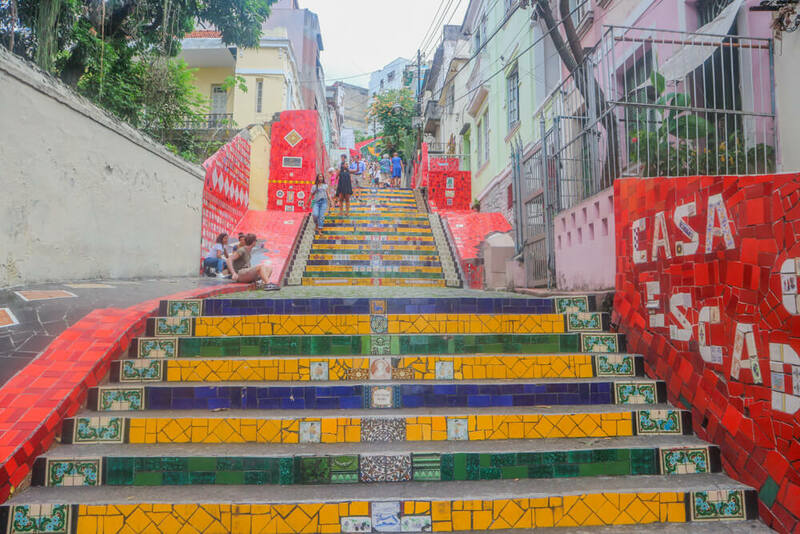 Featuring in music videos by U2 and Snoop Dogg, the unusual multi-coloured design of the steps make them one of Rio’s most famous attractions. Often overlooked by tourists due to being a more residential area, the Lagoa is an affluent part of the city. Just a few blocks from Ipanema, you can escape the hustle and bustle to enjoy a quiet stroll, with the chance of seeing capybaras and a variety of birdlife. It’s over 7km around the whole Lagoa, but even just wandering along a small section of it you’ll find some peace. From parts you’ll also get brilliant views of the Dois Irmãos (Two Brothers) Mountains – so it’s well worth the visit if you have time! Previously a favela, this quiet public park is a lovely place to spend an hour or two of your time. With a somewhat steep, yet easily manageable trail, your ascent will lead you to have remarkable views of the area. Looking out from the top, you’ll find stunning views of the Lagoa as well as distant favelas nestled between the Dois Irmãos Mountains. Throughout the park, you’ll find marmosets, hummingbirds, vultures and a number of other bird species. The park is closed on Mondays, but is open from 8am to 5pm every other day and has no entry cost. 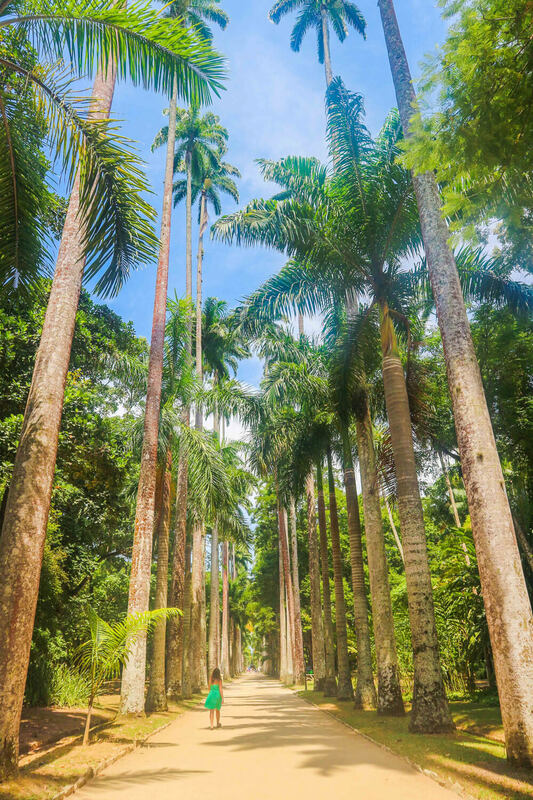 Discover a different side to Rio with a stroll through the beautiful Jardim Botanico. You can easily spend a day wandering the different paths through the gardens, peering towards the treetops in search of Toucans, mischievous monkeys and more. You may even find a hummingbird or two playfully zooming about amongst the plantlife. With an entry cost of just 15 Reals, it’s great value and is a must visit for nature lovers! 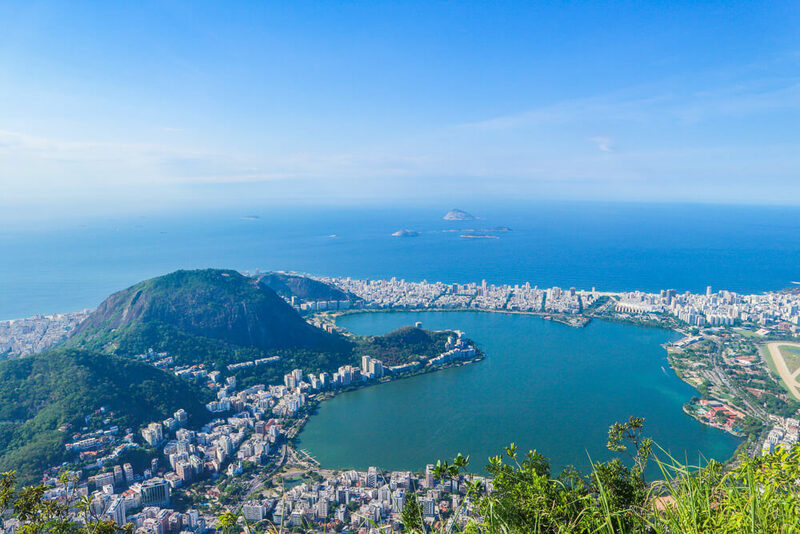 A trip to Sugarloaf Mountain is essential in any Rio itinerary. With amazing views of the cityscape, it’s a perfect place to visit at sunset. To reach the top you have the option of taking two cable cars, costing 80 Reals, or ascending the first section by foot and taking a cable car the rest of the way, costing 65 Reals. You’ll also find a pleasant walking trail, Claudio Coutinho, at the foot of Sugarloaf. Wildlife lovers should take time to explore this 1.25km trail, with a number of birds, monkeys and snakes to be found along the way. 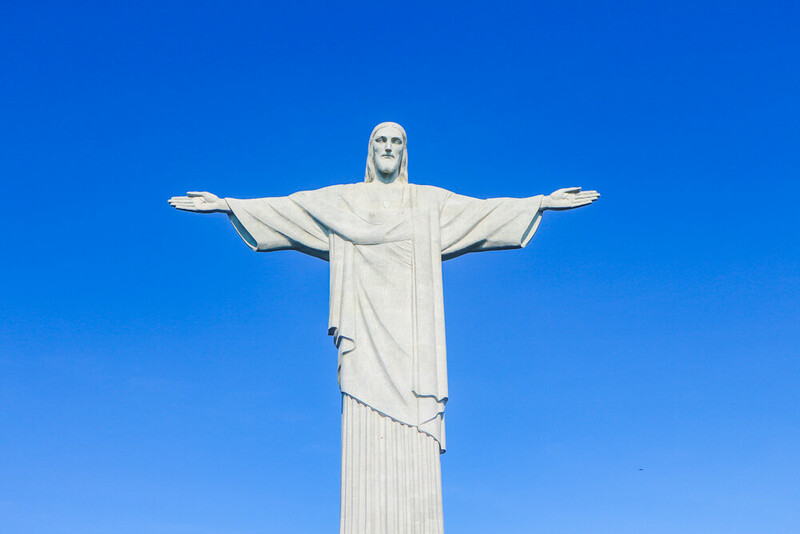 One of the modern wonders of the world, Rio’s famous Christ the Redeemer statue, overlooks the city from Corcovado Mountain. 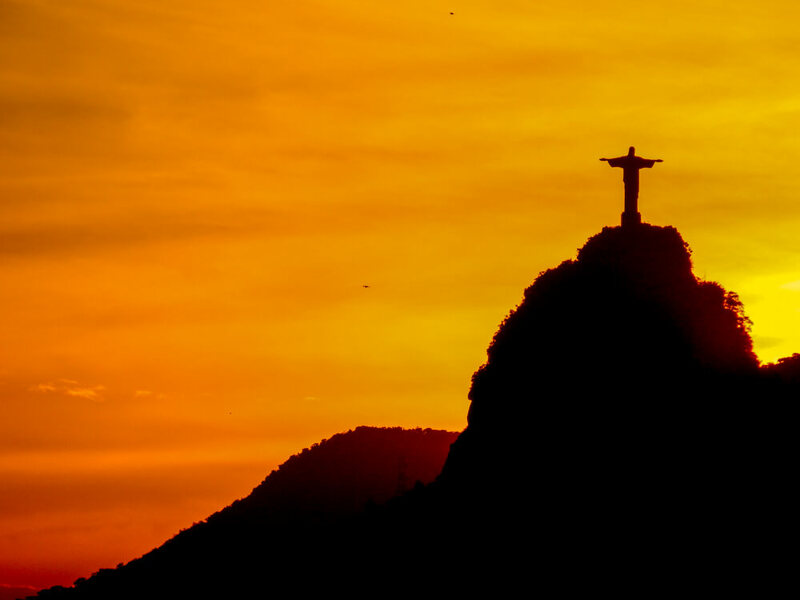 This towering effigy stands 710 metres above the city and is synonymous with Rio. It remains one of the city’s most iconic attractions and as such no trip here is complete without catching a glimpse of this spectacle – even from afar. Heading up to the statue itself offers amazing views across Rio and should be a priority during your trip. Unfortunately, the weather can be unpredictable with mist descending on the mountaintop regularly. Your best bet of going on a clear day is to wake up early a number of days throughout your trip, and when the weather looks good to seize your chance. There’s many ways to reach the top, including the funicular, buses or taxi. We found it easiest to visit by getting an Uber to the entrance before opening time. That way we were able to use the self-service machines to book ourselves on the first bus to the top and beat the crowds! 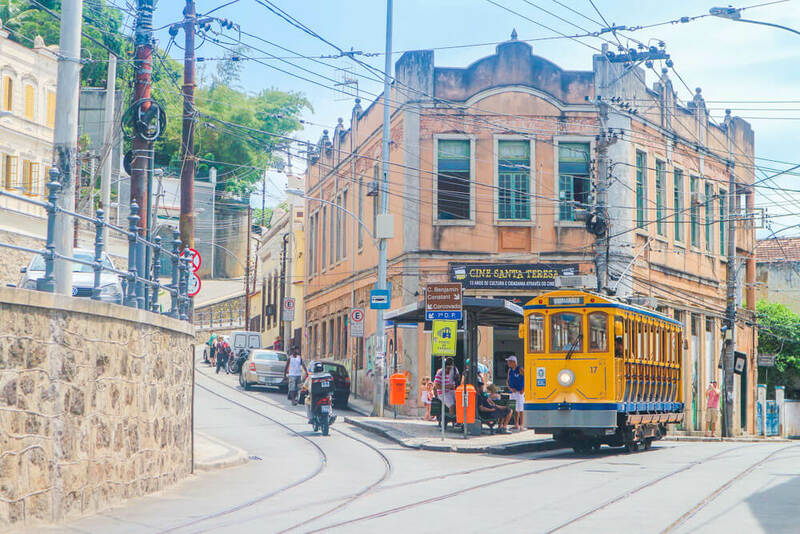 With cobbled streets and old-fashioned trams, Santa Teresa is different to Rio’s other neighbourhoods. As the area is located higher up than most, it gives some lovely views out over Rio. Wandering the streets, it almost feels like you’ve been transported back in time. A highlight of the area is the brilliant viewpoints from Parque das Ruinas. The park itself contains the ruins of a mansion, which you can ascend to enjoy panoramic views of the city. While it may not be one of the hidden gems of Rio, the area’s quaint charm makes it a lovely place to walk around. No trip to Rio is complete without a visit to the beach! In the upscale neighbourhood of Ipanema, you’ll find the beach is cleaner and slightly less crowded than it’s counterpart in Copacabana. That being said, it’s still pretty packed! Locals will offer cool refreshing cocktails for you to enjoy while soaking up the sun or drying off from a swim. 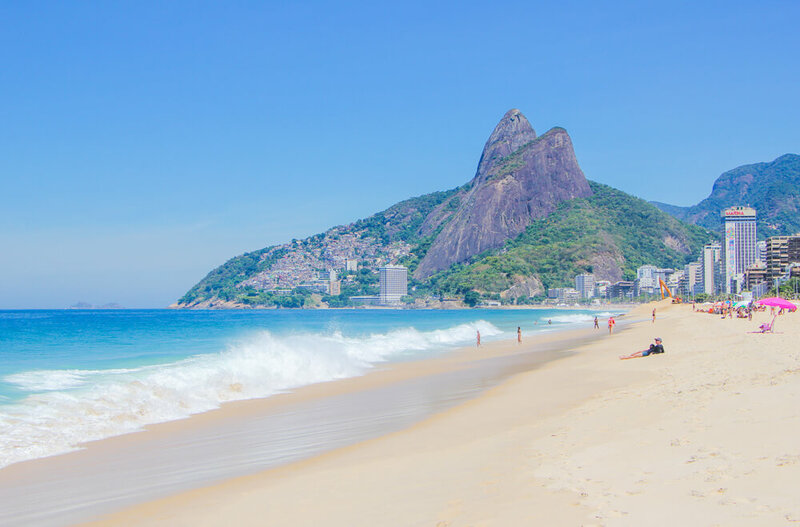 For sunset, head to Aproadar – a rocky area of beach between Copacabana and Ipanema. From here, you’ll have dazzling views of the intense colours as night falls across the city. 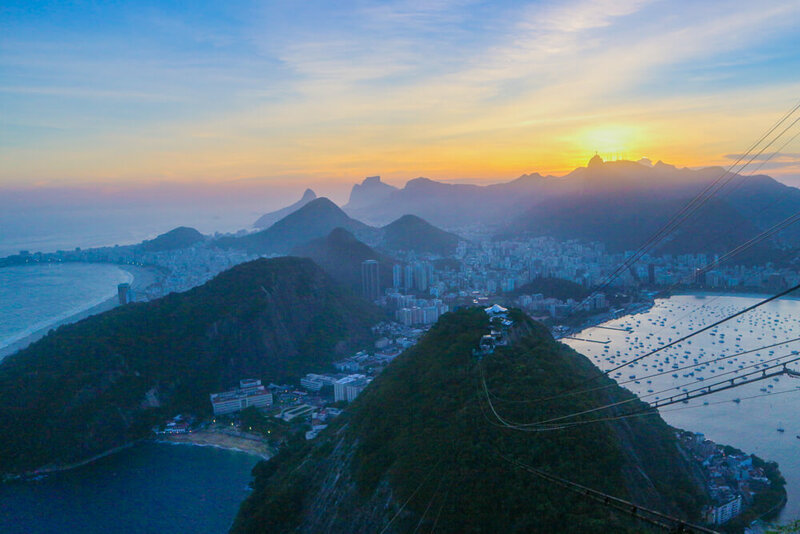 With no shortage of amazing and unusual things to do in Rio, it certainly is a destination that should be on everyone’s bucket list. 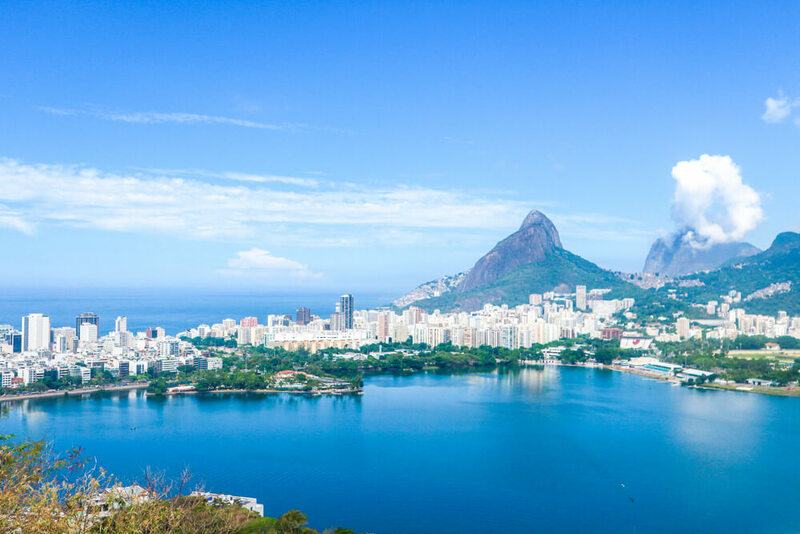 Whether you just want to get off the beaten path and explore the hidden gems of Rio, or follow the tourist trail to wonders like Christ the Redeemer and Sugarloaf mountain – the city has something to offer everyone! It certainly is a special place, but don’t take our word for it. Go and see for yourself! 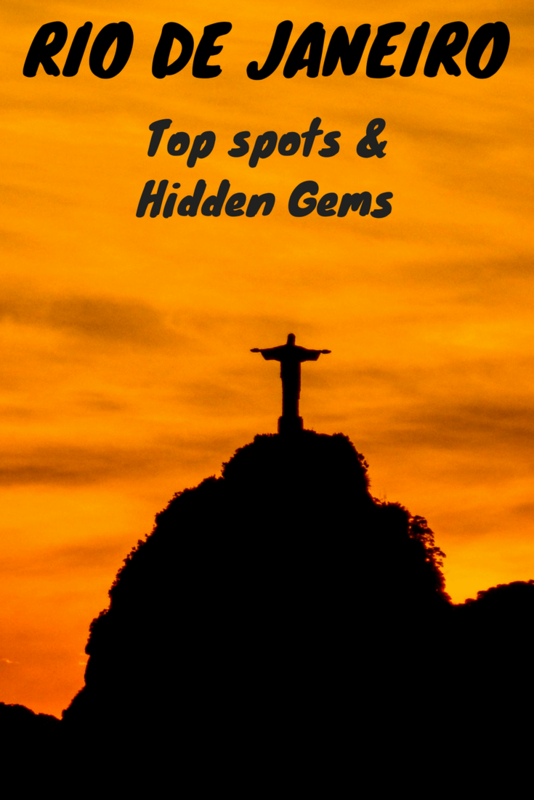 Make sure you check out the 11 things you need to know before visiting Rio, Iguazu or anywhere else in South America! Your photos are beautiful! So many hidden gems.. Thank you! 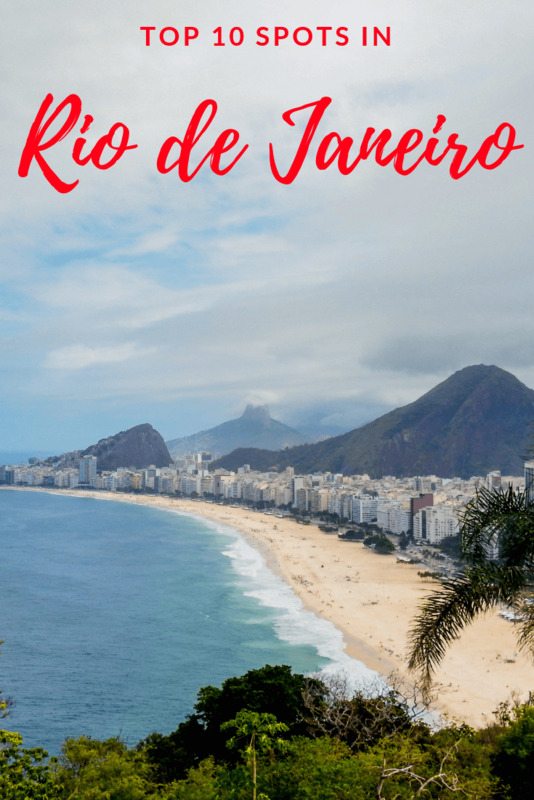 There is so much to see in Rio!